No matter what you are working on with your clients, the goal is always to help your client to succeed. When it comes to using reporting software, like Calxa, accountants have generally developed 3 ways of working with clients as a teacher, guide or advisor. Some accountants focus on just one method of working, while others use a combination of all 3 styles. The way of working that suits you best will depend on your approach and your relationship with a particular client. The teacher typically does the initial setup of Calxa for the client, teaches them how to use it and then passes over ownership of the subscription. This works well when you have a deep understanding of Calxa and its capabilities – how to get the best from the reports, how to set up cashflow and how to create the right KPIs for each client. 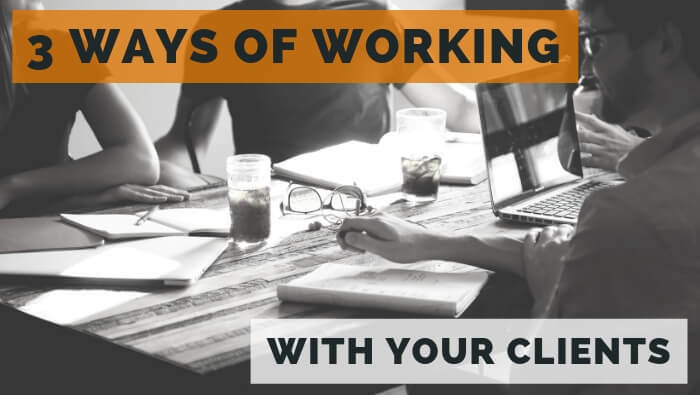 Working with your clients as a teacher makes sense when your client doesn’t have the time, skills or energy to invest in learning the details immediately. With your guidance, they will learn over time, but you manage the initial setup for them and focus their training on their immediate needs. More advanced skills can come later. Once you’ve done the initial setup and created the first bundles of reports for the client, they can be immediately productive, without having a deep understanding of how everything is put together. If they can run a bundle of reports when they need them, they can start to get the information needed to run their business better. If they can edit a budget, they can start learning where the numbers come from. Over time you’ll teach them the advanced skills but they don’t need them from day 1. The guide works with clients as the provider of reports and as a mentor in the interpretation of reports. The client doesn’t use Calxa at all, that’s managed in the accountant’s office. The accountant is the one with the skills to put together the right reports for the client, after a discussion of their needs. It’s the accountant who manages the budget and all the business owner or manager sees is the result – a set of reports each month. The best guides don’t just send a bundle of reports to their clients each month. The reports form the basis of a discussion about what’s happening in the business. In many ways it’s the discussion that is the important part. The reports are the catalyst that identifies where the business is doing well and which areas need attention. An accountant working with Calxa as a guide to their clients will tend to have a deep, solid relationship with each client. They will develop a greater understanding of the business. As with any guidance or mentoring role, the key is in asking the right questions to help the client understand the underlying causes of what’s shown in the reports and come up with creative solutions to any problems. The accountant’s goal isn’t to provide answers to the client. It’s to make the business owner think and come up with their own options and develop a plan for the future. We created a three part series all about how to have discussions with your clients, read Starting a Conversation Part 1 to find out more. The third way of working with your clients is as their advisor. Generally, this happens when the client has initiated the setup of Calxa (sometimes after advice from the accountant). The client can then add their accountant to Calxa using the Free Advisor option, so they can review the setup, look at reports and give advice on the operation of the business. In this scenario, the client is the main user of Calxa and can adjust budgets when they want. They can run their own reports at any time and are in full control. The role of the accountant is to review and advise, rather than to do – though that is still possible. The accountant as Free Advisor does have permissions to make changes to the Calxa setup to get the best result for the client. We’ve outlined here 3 ways of working with your clients: as teacher, as a guide or as an advisor. Some clients want you to manage everything and there the guide is the best role; some want you to kick things off and then leave them to it and that is suited to acting as a teacher; others will come to you for advice and that’s where the advisor role works best. You may not fit neatly into just one role. Often the accountants working with Calxa will adopt different roles with different clients – because they all have varying needs. Our goal is to support you in working with your clients in whatever way is best to help them succeed in their business. We realise the importance of your relationship with them and see Calxa as an important tool to help build that relationship for everyone’s benefit.